We’ve known about labor abuses in some factories for four years, and they’re still going on. Why? Because the system works for us…Noncompliance is tolerated, as long as the suppliers promise to try harder next time. If we meant business, core violations would disappear. 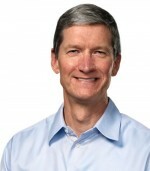 The following email is Tim Cook’s response to the report, which was sent to all Apple employees.